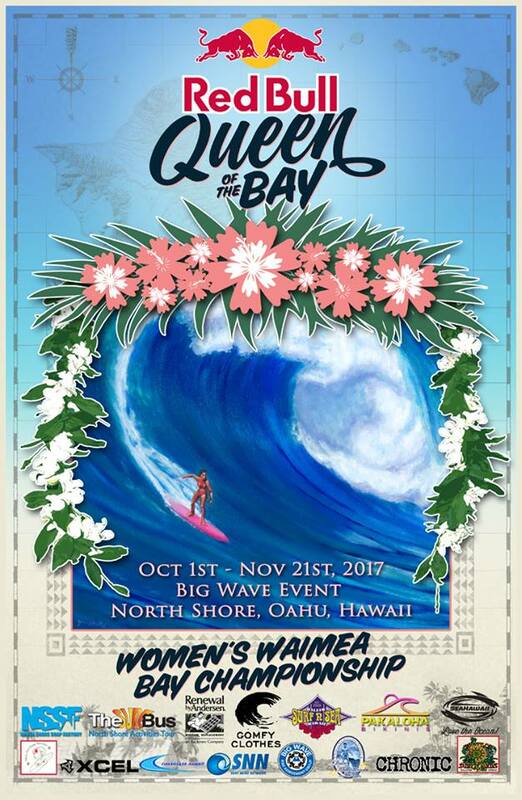 Women’s First Ever: Waimea Bay Big Wave Championship “The Red Bull Queen of the Bay” is postponed for Friday-Saturday swell. Surf News Network – The waiting period for the first ever Women’s Waimea Bay Championship has until November 21st, 2017. 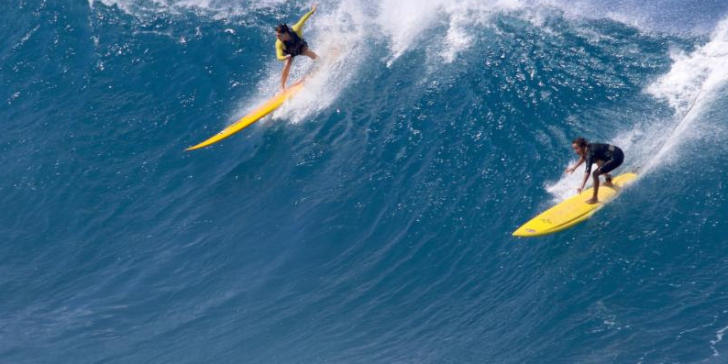 The Red Bull “Queen of the Bay” will be the first ever Women’s big wave event on the North Shore of Oahu, held at legendary Waimea Bay, the birthplace of big wave riding. The North Shore is ground zero for not only big wave surfing, but for the entire surf world, and Waimea Bay is its grandstand. The time has come for Women who surf these waves to share their skill, style, courage, and passion with the world and to embrace the great opportunity that has been granted to them.